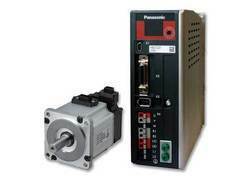 We are leading Supplier & Distributor for the Servos and Drives which also includes Servos and Drives. We are a paramount organization that is engaged in manufacturing, supplying, trading and wholesaling Minas A5 Series. These products are manufactured using optimum grade material that is sourced from most trusted vendors of the market. Our range is offered in variegated specifications to customers so as to cater to their diverse requirements. Ours is an illustrious organization that is engaged in manufacturing, supplying, trading and wholesaling high quality Servo Drive. High quality material that is used in the manufacturing process is sourced from trusted and reliable vendors of the market. The offered products are ideal for applications that require an affordable technological upgrade to improve reliability and performance. A bandwidth of 1kHz guarantees quick response times, resulting in very low vibration. 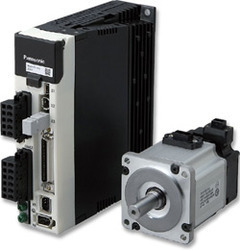 We are a prominent organization that is engaged in manufacturing, supplying, trading and wholesaling E Series Servo Drive. 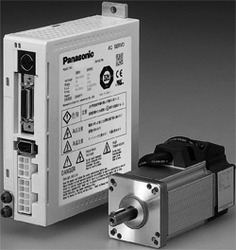 The offered drive is a unit of an AC servo motor and driver with downsized capability and performance that are useful for positioning of a motor. These drives include real time auto tuning and enable automatic setting of complicated gain tuning. We are a preeminent organization that is engaged in manufacturing, supplying, trading and wholesaling Minas A4 Series. The range offered by us sports a fast frequency response of one KHz, improved real time auto gain tuning, new vibration control features, and two Mpps command input. Also, we offer customization facility of the offered range at industry leading rates. 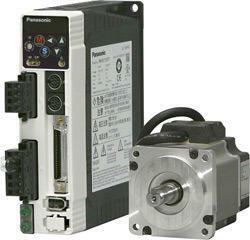 Looking for Servo Drives and Motors ?